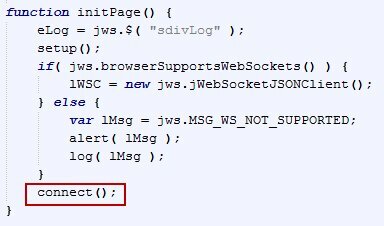 In a recent article, I have introduced jWebSocket – an open source Java based server for WebSocket communication: https://technology.amis.nl/blog/14940/first-steps-with-jwebsocket-open-source-java-framework-for-websockets-installation-and-running-samples. In this article, I have described how to download and install the jWebSocket server and how to get going with running some of the distributed samples. In another recent article, I looked at the implementation of a slideshow application where multiple web clients are mutually synchronized using WebSocket based communication using the Kaazing commercial Web Socket Gateway: https://technology.amis.nl/blog/14777/push-based-synchronized-slideshow-web-application-implemented-using-websockets-and-kaazing-websocket-gateway. In this article, I will implement that same Slideshow application as with Kaazing, this time using the jWebSocket server as my underlying WebSocket infrastructure. 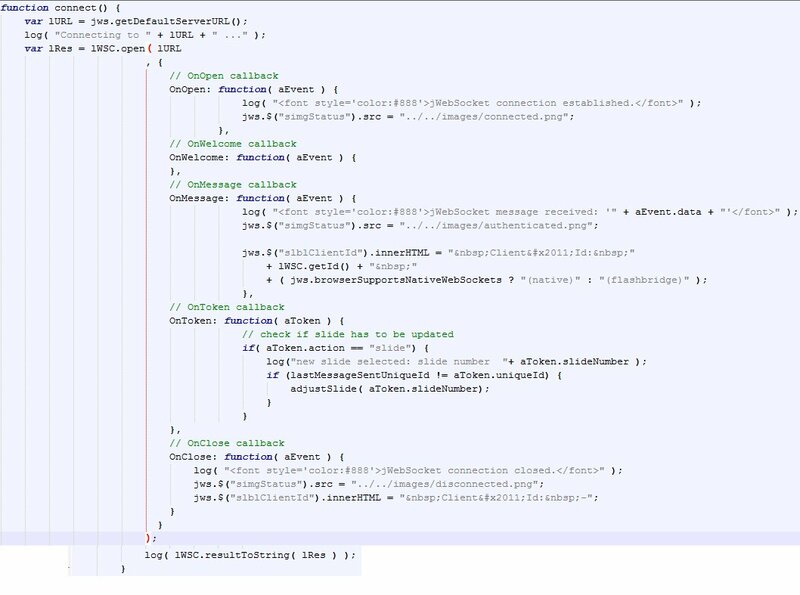 It turns out that no server side configuration is required for this initial, somewhat naive implementation that does not use a specific channel but simply has all clients of the jWebSocket server participate in the communication. A more advanced set up would undoubtedly use some way to ensure that only interested parties connected to a specific web socket or channel would actually receive the slide selection events. 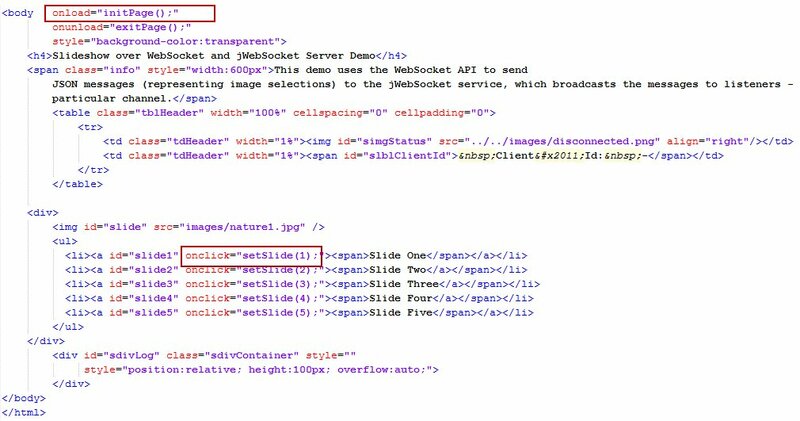 As it stands, the implementation is quite straightforward – based on the file presenter.htm shipped with the jWebSocket Client Samples (directory demos\slideshow). As was mentioned before, this implementation requires no server side configuration. 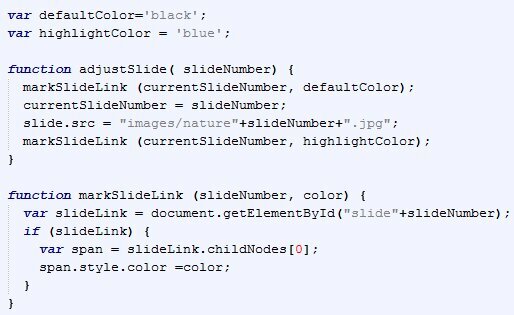 I could implement the synchronized slideshow using nothing more than a single static HTML file slideshowDemojWebSocket.html – along with the five slides that this application contains. So what happens in initPage()? 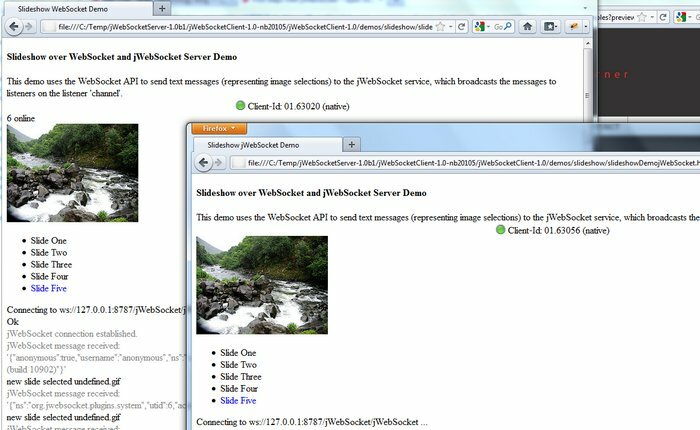 The connect function opens the WebSocket connection to the default server url – ws://127.0.0.1:8787/jWebSocket/jWebSocket. It configures a number of call back functions for the events Open, Welcome, Message, Token and Close. 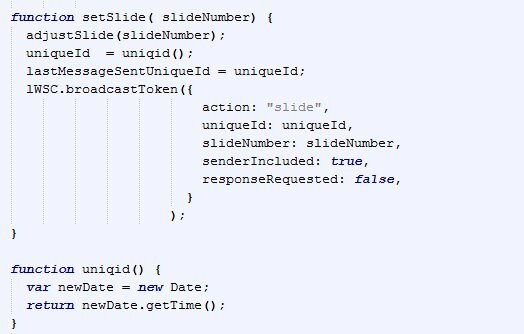 The Token event is the one that is triggered when one of the other WebSocket clients pushes a slide selection event message. When a slide selection message is received, OnToken will verify that the action property of the aToken object is set to slide. In that case, and when the message was not sent by this client itself, the function adjustSlide is invoked with the slideNumber that is retrieved from the aToken object. Download the sources for this article: slideshowJWebSocket.zip.